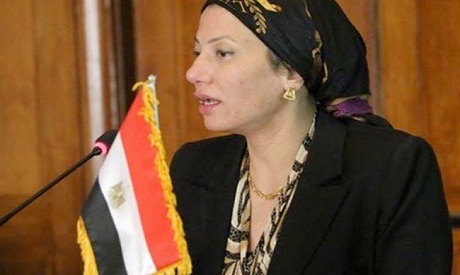 Egypt's Minister of Environment Yasmin Fouad has announced the intention to adopt resolutions on biodiversity that were reached during the second day of high level meetings held on the sidelines of the 14th Conference of the Parties to the Convention on Biological Diversity in Sharm El-Sheikh. Participating ministers and delegates stressed the importance of biodiversity for the functioning of the ecosystem and on human health and wellbeing, as well as achieving economic growth and sustainable development. They also stressed that involving the health, energy, mining, infrastructure and manufacturing fields in expanding biodiversity is essential to achieving the targets of the Brazil Aichi convention on Biological Diversity (CBD), noting the need for involvement from communities, women, youth, civil society, governments, local authorities, academics and businessmen as well. The UN Biodiversity Conference will officially kick off in the Egyptian Red Sea resort city of Sharm El-Sheikh on Saturday, four days after African ministerial meetings discussed the continent's biodiversity priorities and future work plans.